Post-it Pop-up Notes make one-handed dispensing easy and help you multi-task more effectively. They're also the perfect size for leaving notes of encouragement. Accordion-style notes pop up one after another from a post-it pop-up note dispenser. Color: Cape town collection alternating. 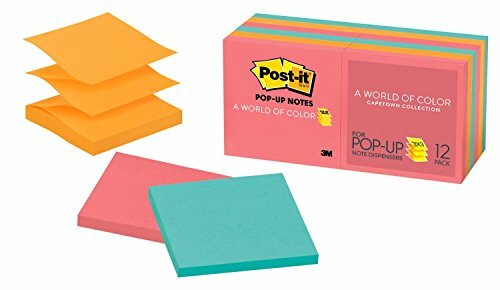 Post-it Super Sticky Pop-up Notes in 3 in x 3 in feature 2x the sticking power. 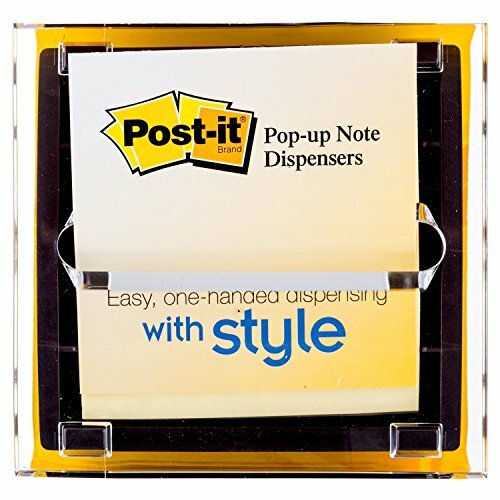 Specially designed to work in Post-it Pop-up Note Dispensers, you'll always have a note nearby to capture great ideas. Unique adhesive reliably sticks and re-sticks so your message can stay front and center. Move your notes with you throughout the day. Use for notes or reminders on doors, windows or walls. Miami Collection colors inspired by the exuberant soul of the Miami urban paradise. 10 Pads/Pack, 90 Sheets/Pad. 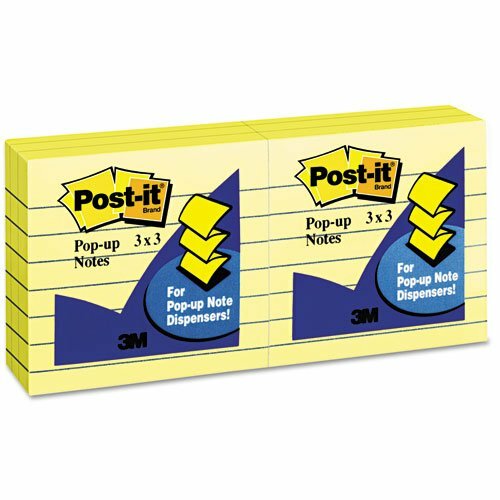 Post-it Pop-up Note Dispensers are always there when you need to capture great ideas. 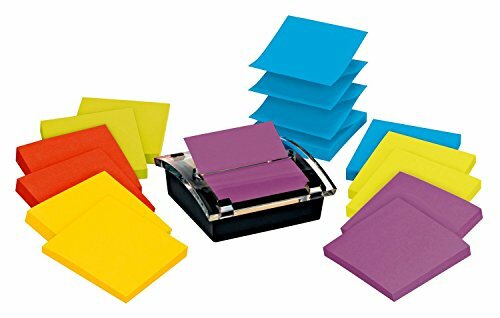 This pack includes a black base dispenser with a clear top and 12 pads of bright Post-it Pop-up Notes. 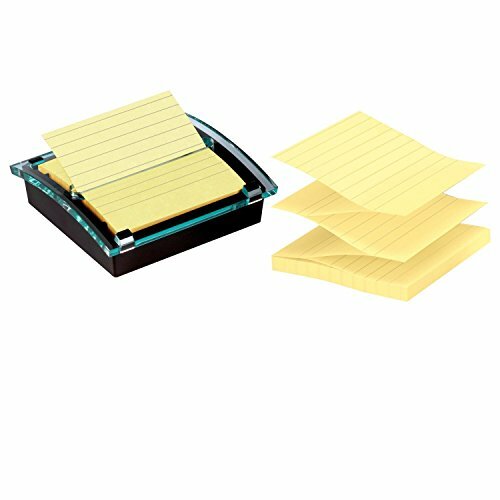 Specially designed for Post-it Pop-up Note Dispensers, these accordion-style notes pop up one at a time. Use for notes or reminders to yourself or others. 1 Dispenser, 12 Pads/Pack, 90 Sheets/Pad. 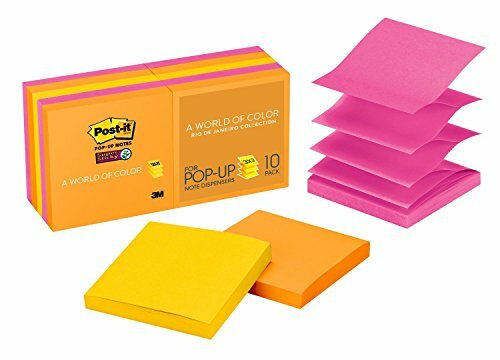 Post-it Super Sticky Pop-up Notes in 3 in x 3 in feature 2x the sticking power. 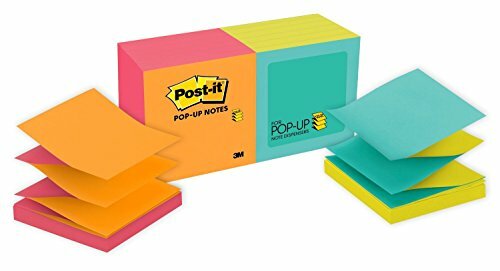 These accordion-style notes are specially designed to work in Post-it Pop-up Note Dispensers, and allow you to always have a note nearby to capture great ideas. Unique adhesive reliably sticks and re-sticks so your message can stay front and center. Move your notes with you throughout the day. Use for notes or reminders on doors, windows or walls. A World of Color Rio de Janeiro Collection expresses dramatic colors that celebrate this Brazilian metropolis. 10 Pads/Pack, 90 Sheets/Pad. Color: Rio de janeiro collection. Always keep Post-it Pop-up Notes at your fingertips. Their design makes one-handed dispensing easy, and they're great for phone numbers, messages, brainstorming and short to-do lists. Accordion-style notes pop up one after another from a post-it pop-up note dispenser. 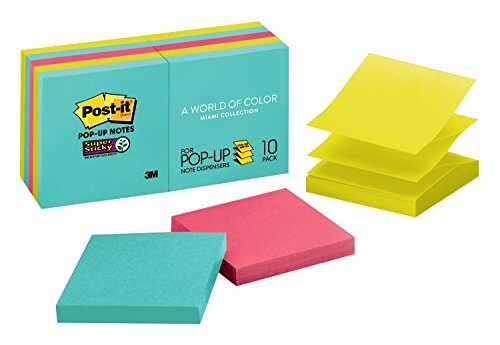 Post-it Pop-up Note Dispensers are always there when you need to capture great ideas. This dispenser allows you to organize your desk and always have a note nearby. Pack also includesthree pads of accordion-style Post-it Pop-up Super Sticky Notes, Lined. Great for lists. 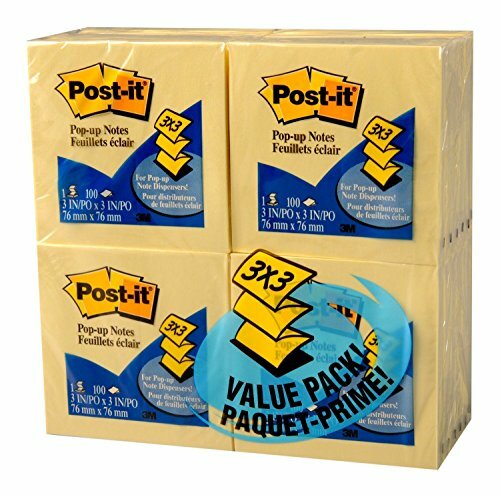 Post-it Super Sticky Notes feature 2X the sticking power. For refills look for the accordion icon on all packages of Post-it Pop-up Notes.